St Cronan's school in Bray is supporting Eric Zhi Ying Mei Xue and his mother in their campaign to remain in Ireland. MORE THAN 20,000 people have signed an online petition organised by St Cronan’s School in Bray to prevent the deportation of one of its pupils. The petition is in support of 4th class pupil Eric Zhi Ying Mei Xue. 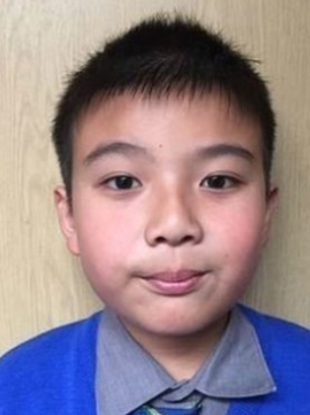 Eric, who is nine years old, was born in Ireland, but he is not a citizen, according to the school, who said he is facing deportation to China. One teacher from the school said the campaign is fully backed by the school including the principal Maeve Tierney and the Board of Management. Tierney told RTÉ News that the school believed that Eric should be afforded the same rights as an Irish Citizen. Ms Tierney described Eric as “an extremely able boy”. The principal said the deportation of a boy born in Ireland is “very, very wrong”. There are reports that a meeting with the immigration services on the matter is taking place today. Local Sinn Féin TD John Brady told TheJournal.ie that he hopes there is a positive outcome for Eric, who he said is being placed in a “horrendous” situation. He said Eric’s case is just one of many young children, who find themselves being deported, despite being born in Ireland. Brady said such actions can have a huge impact on these children, and can cause a huge trauma in their lives. TheJournal.ie has asked the Justice Minister Charlie Flanagan for comment but none was received by the time of publication. In a statement the Department of Justice said “it does not comment on individual cases”. Email “Bray school calls for halt in deportation of nine-year-old boy ”. Feedback on “Bray school calls for halt in deportation of nine-year-old boy ”.